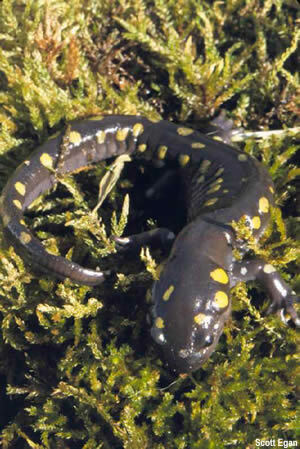 Springtime brings vernal pools to the Northeast. Vernal pools are depressions in the landscape that seasonally fill with water. They team with life. Ian Ives, Director of Mass Audubon’s Long Pasture Wildlife Sanctuary, talks to our audience about the vernal pools scattered around Cape Cod. His presentation explores a variety of secretive animals that dwell in these spaces and tells their amazing stories. Come and learn about the creatures that slither, leap, and crawl!